...but it's a Lot of Fun! The Joy of No-Gift Christmas. The Atlantic offers suggestions that may be more valuable than the same old thing. Graduation coming? Did a colleague do something worthy of a reward? Do you have a favorite student in your life? Why not give your favorite student, professor, or scholar something they will appreciate receiving for this special season. Look here for answers to What can I give? and enjoy the giving of unique presents to your favorite scholar. Researchers, educators, and students at all levels are known to wear clothes, jewelry, and other adornments expressing their disciplinary leanings. Here is a list of places from which you may order something special for that special person. And, yes, there are academic and disciplinary slants for the resources. Some of the gift sites listed here contribute portions of their revenues to organizations in their fields. A few of these gift sites are in the Buffalo area. All are lots of fun! Quick Link to T-Shirts | Quiz Bowl Games fans Look Here! And please, tell all your colleagues and friends. Maybe they'll get you something too!! Note! Want to give that special grad a lifetime gift that will boost their career endeavors? Biologists might find necklaces and keychains to their liking and you can find their gift at Taylor Custom, while microbiologist just might get giddy with delight from something by GIANTMicrobes. While digging around for those special gifts for the archeologists and anthropologists in your life, you can start with the Museum Store, specializing in all sorts of items, from T-shirts and mugs, to reproduction artifacts. For the practicing archeologist, there is the Gift Guide for Archaeologists specializing in archaeology and anthropology-related products that will be used in the field. 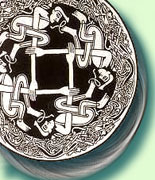 The Sadigh Gallery specializes in artifact reproductions and jewelry--browse by culture or type of artifact/item of interest. The Museum of New Mexico Foundation Shops provide traditional and contemporary New Mexican and Indian arts and crafts from all the major museums of the Land of Enchantment. Archaeology, Art, History, and more gifts are also found at the Museum Store Company, where reproduction jewelry, sculptures, models, and all sorts of great items can be bought. Sorted by type of gift and by historic period (e.g., Pre-Columbian Maya). 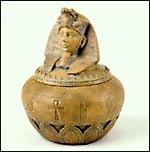 Find reproductions and artifacts from prehistoric through Art Deco. The paleontologists in your life might really dig the unusual stuff available at another related site, Bone Clones, which has some interesting ideas and resources, including artifacts (see left). For the hikers and lovers of the outdoors, as well as for naturalists, botanists, and all sorts of scholars of the wilds, several great gift places exist online. The Ultimate Appalachian Trail Store is the source for official Appalachian Trail guides and maps official guidebooks and maps and many other Trail-related products. They carry lots of new items and gift ideas, including: belts, socks, bandannas, birdhouses, hats, craft and games, jewelry, keychains, magnets, mugs and coffee, ornaments, and more. You can also give someone a membership in the Appalachian Trail Conference. ATC members receive a substantial discount while also helping to keep the Trail and the environment healthy. If you want something on the Adirondacks, go to the Adirondack Mountain Club gift site; you can also give someone ADK membership. 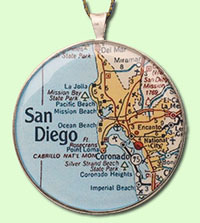 Cartographers, map and geography enthusiasts can find all sorts of great gifts at Cartographic Associates. They carry Christmas ornaments, Antique and Facsimile maps from notable time periods (Civil War, WW2), and of various places in the World, among many other ideas. Trailhead Graphics produces wonderful maps for the Civil War enthusiast. Their series of battlefield maps combine current topography with plots of all monuments and important features of the key battles of the war. The maps are useful for hiking, siteseeing, and also for framing on the wall. Benchmarks to Success. So you want to reward your favorite geologist or climber with a memorable item noting their expedition? 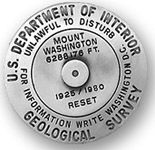 MountainClimb produces reproduction USGS benchmarks (those plates that get fixed to spots across our country that correspond to the topo quads). They have paperweights, earrings, and other neat items, AND they do custom work at your request. Just choose a geographic region and enjoy. Geography and cartography are not forgotten by a few other gift producers. In addition to the National Geographic and Canadian Geographic stores, a number of companies are producing map-related items, some custom-tailored to someone you care about. Maps, customized to your personal interest, may be found in the Signals catalog, where other map-gifts appear. Maybe you want tea towel showing where you live, or a World Map Shirt. They have those too. Look too for customized traveler's maps and other cool stuff. My favorite items are the Personalized Hometown Jigsaw Puzzles and gifts, showing whatever place in the US that you ask for. 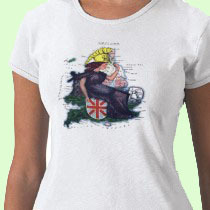 One great geographic-gift outlet is Zazzle. You can choose from T-shirts, hats, key-chains, mugs, posters, and more, in a variety of colors and tastes. There are many items that will suit any budget and interest. Or want to get into the Medieval World? Take a look at the Renaissance Store, or Medieval Collectibles. Find everything from armor to pirate pants, boots, chemises, gowns, helmets, swords, music, jewelry, and a whole lot more. For jousting, visiting on the holidays, or just laying around the castle, these gifts will make a statement that says, "I'm living in the past, and I'm proud of it." If you want something simple, perhaps a tapestry for wall or floor, they have those too. You can find more than the usual T-shirts here, in fact, some of the shirts are made of chainmail. There are gift ideas for kids to grandparents. Be ready to fight off those hordes of bill collectors with a complete medieval defense system! If you are looking for an image-forming cape for that special man in your life try the Alpaca serape, the senatorial robe or headmaster look from Cloak & Daggar Creations for that special woman, you might want to think of classic Victorian look. 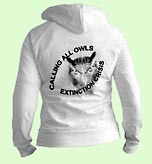 Acorn Naturalists has ideas for gifts that also boost awareness to the Earth. Products include something for everyone and everything from aprons to sweatshirts, mugs, lunch boxes, clothing, and a wide array of items, all with environmental themes or statements. Does Aunt Rita Really Want Another Silk Scarf? Give a Gift That Matters. Not all gifts need to be to family and friends. Sometimes giving includes giving to charities or to groups that support projects to help us all. 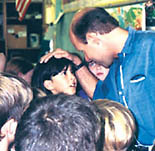 Many organizations sell unique gifts and use the proceeds to help fund charitable or in this case, beneficial programs on Earth. An example is the Endangered Species Chocolate Company, producers of something that everyone loves, whose sales help the Earth who loves us. So chocolate really is good for you! Be sure to read the company's promise and the efforts they are making to save us all. 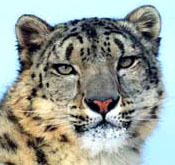 (They link to the IUCN Red List of Threatened Species. World Wildlife Fund Gifting Ideas That Make Sense. The WWF has a new gift catalog and philosophy about making a contribution to the critical nature of the world. Visit their Gift Shop where you can donate to "adopt" an endangered animal AND get a plush version of that animal to give as a gift. There are also ways to give gifts related to WWF activities and this is something that all sentient beings will appreciate. While you are there, view the various programs that WWF sponsors and see how your contributions are making a difference. This is the ultimate in gift-giving. Visit their guide "Shop to Support" for ideas on how to help wildlife year-round. Oxfam America Gift ideas that will give a gift and help theWorld. "A card goes to your friend... the gift goes to those who need it most." Oxfam America. Cloudy Skies Are Cool! Atmosphere is all around us and here is a place where meteorologists, climatologists, nature-lovers, and cloud fanatics can go to find their heart's desires. The Cloud Appreciation Society has not only a great visual database of cloud types and formations, plus unique identifying guide, it also has a gift section so you can wear your Altocumulus with pride. 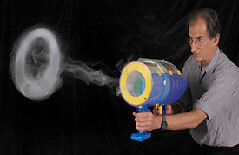 Physicists and engineers might get a delight with a gift from Zero Toys. Check out their Hot New Items section for things like a T-shirt with a graphic equalizer that is sound-sensitive! These are toys that can be enjoyed by all ages and some items are available for under $10. For some thought-provoking (and fun) learning experiences--take a look and enjoy! Science & Scientists Cool Stuff! There are an abundance of science-related gifts at the Science Mall where almost anything is available for that scientist who is hard to buy for, OR for someone who would just love to receive something scientific as a gift. Choose from jewelry, posters, necklaces that include pieces of coal from HMS Titanic, rare mineral samples, puzzles, games, replicas, biology & nature items, KIDS stuff, and more things than you can imagine. Educators in general will appreciate this web mall too as there are loads of items that would enhance the classroom and invite young scientists to get involved with their world. This is a treasure trove of gift-giving delight for everyone (you don't need to tell them that it's SCIENCE). Astronomers and Astronomy enthusiasts might like something from NASA Tech Briefs and their gift store. Items include mugs, toys, star charts, astronomy and space exploration DVDs and software, posters, and science kits, among a list of other possibilities..
Whatdidyoubringme? gives you T-shirt designs for mammals, birds, amphibians and reptiles (herps), fish, invertebrates, and plants. If looking for neckties, you will find designs for the chemist, molecular biologist, physicist, science historian, and book lover. There are a great number of categories on the site to provide scholarly gifts of all sorts. Make sure to see the page of pencil sharpeners. USABEST provides the treasure chest of science-oriented T-shirts with categories for geology, dinosaurs, chemistry, biology, computer-geekology, and other ..ologies, plus miscellaneous science topics. 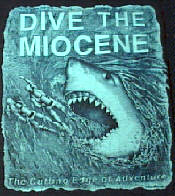 Jim Morris designs some of the worlds most recognized nature and environmental T-shirts. Now these are being produced with 100% organic cotton. Looking for a creative way to express your academic interests with a VERY specialized disciplinary acknowledgement? If you have a favorite book from your childhood, or a favorite text book from your college years, or just a special book that has been near and dear to you Rebound-Designs willconvert your book into a unique tote or purse. They are all made from real old hardback books, the pages are removed and the cover is left intact. The spine becomes the bottom of the purse, so the longer the book, the wider the purse. 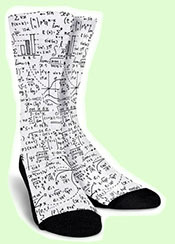 Mathematics Socks! Math for your feet. Make counting more fun and give the gift of numbers to your favorite toes. Also visit Joy of Socks. One particular pair of socks for 2017 comes from Gadgetica: look at their Math Premium Crew Socks. More Mathematics & Math-Enthusiasts T-shirts. Visit the Math T-shirts page at Teespring. Don't stop there; this site has all kinds of gifts for the in your life. Included in the T-shirt area are shirts for all types of Engineers. You are certain to bring holiday happiness to that special hacker in your life by finding an appropriate Geek gift at ComputerGear IT. 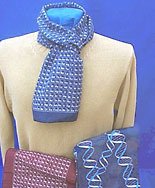 Microbiologists, epidemiologists, and public health officials would certainly enjoy a gift from Infectious Awareables, providing unique science-based awareness and health promotion products, such as neckties (West Nile virus shown at left), scarves, scrubz, boxers and note cards all with infectious microbe as a theme. 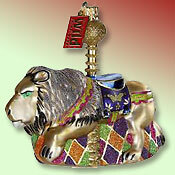 Military History Gifts, Collectibles, office Items, more. Excellent selection of military history gifts especially for the Napoleonic Wars. Cover illustrations. Buttons, lapel pins, other reproductions of artifacts for use today. Got a favorite history teacher? History Teaching Gifts has cartoons and humor that teachers will enjoy. TeacherGifts provides a number of creative scarves depicting great scientists and science themes. Another great site for teachers is: THE SCIENCE TeeCHER Collection of science, technology, math neckties and scarves, jewelry, and other gifts that anyone in the sciences, especially teachers would love. NOTE: They are having a 50% off closeout special. Literary Calligraphy combines literary themes (Shakespeare, Browning, Emerson, Thoreau) and colored art primarily with botanical themes into high-quality framed or unframed renderings. In addition to the prints (matting/framing available) are stationery items that would be perfect for that person with a classics flair. There are also a number of items for the Biblical scholar or student. The Mount Washington Observatory has a supply of gifts for the budding meteorologists out there. Go to their online store for a selection. Be sure to listen to the observatorys NPR broadcast of The Weather Notebook heard in Buffalo on WBFO 88.7 FM at 5:49 a.m. and 8:49 a.m. daily Monday-Friday. Additional weather gifts can be found at Wind & Weather. Library studies faculty, their students and university librarians are sure to retrieve a host of resources from the American Library Association's ALA Online Store. Bibliophiles will find an assortment of books, library resources, clothing, posters, and other ephemera at this site. 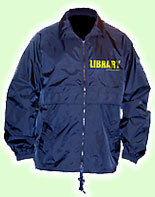 If your librarian has a "weird" sense of humor or wants to make a statement, try Unshelved.com for a selection of posters, T-shirts, hats, bags, and other stuff, including a "Library Raid Security jacket." For Kids Big and Small. San Francisco's science museum, The Exploratorium, has an incredible inventory of science toys for kids of all ages from the kindergartener to the Emeriata Professor. 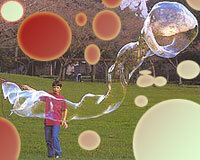 If you have ever seen their "bubble show" you can replicate it here! The San Diego Zoo shop also has an eclectic collection of gifts for all ages and tastes, from aesthetic to fun, games, and learning. A perfect spot for lots of things that are a little different. Good Scholarship is Not All Work. The academic world can appear dry and boring to some, but even academics know how to enjoy themselves. Here is a site for the art lover, the math major, or adament puzzler. 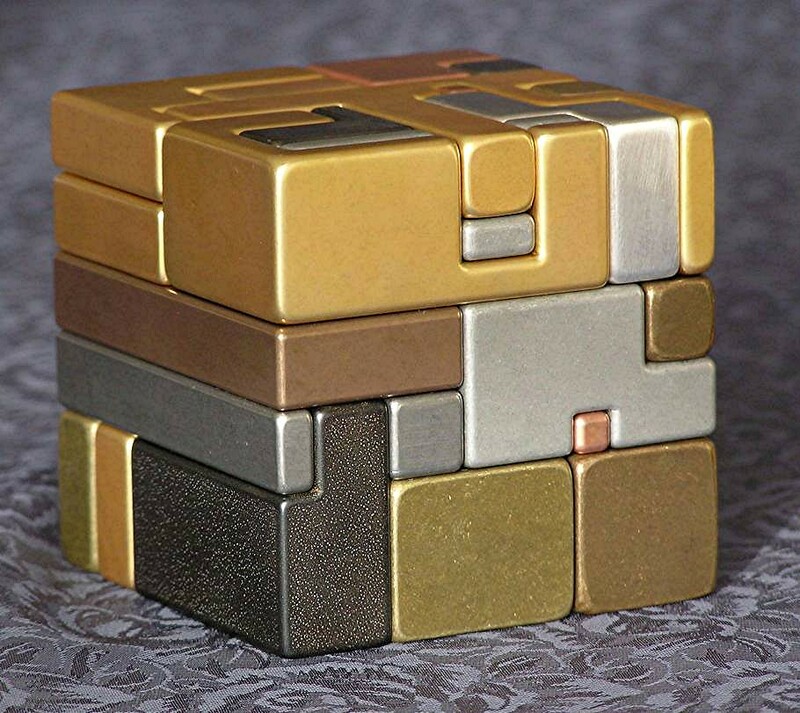 Maxton's Art Gallery provides some interesting tabletop sculpture-puzzles. Chemists will delight at beakers and mugs for coffee or tea or whatever. Scroll to the glassware through an array of rather interesting science-oriented favorites, including the deluxe Ben Franklin and Albert Einstein action figures (they even talk!). 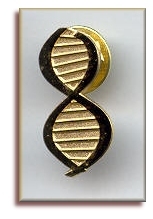 DNA was "The Chemical of the Year" in 2003, celebrating the 50th anniversary of its chemical structure. Science Things provides a nice supply of mugs, shirts, and magnets. Other science designs are also available from their Science Store. 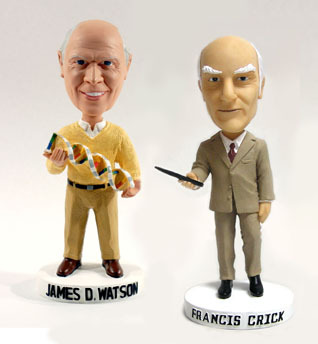 You should also take a careful look at The DNA Store for a rather comprehensive inventory of DNA memorabilia, including Waston and Crick bobbleheads, DNA earrings and jewelry, desk items, mousepads, and more (see their DNA Trophy). While Moon Pies might not be the staple of that aeronautical engineer on your list, these Astromits might provide that NASA-bound person a little comfort when handling hot things in the kitchen or around the launching pad. Other items are available at the Kennedy Space Center shop. Also drop in the Space Science and Technology section of the Computer Gear site for stuff to make computer geeks, math whizes, and scientists happy all year long. 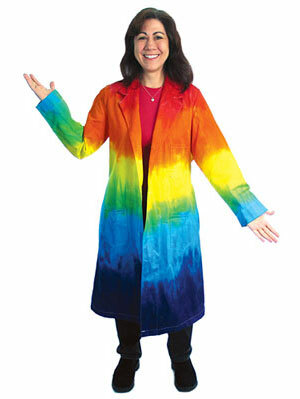 Educational Innovations has all sorts of gift ideas for scholars and the thinking mind (see the Tie-Dyed Lab Coat). Geographics provides one of the more comprehensive sites for a variety of science garb. ReefRelief's Environmental Store has a variety of interesting gifts (hats, towels, mugs, shirts) for those studying or appreciating coral reefs. 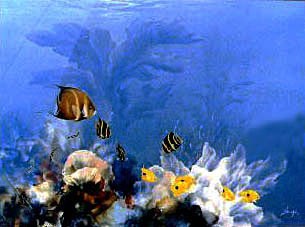 Proceeds of purchases are used for the study and preservation of coral reefs. 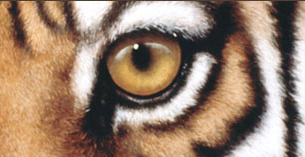 For all-around gift items in many disciplines, point your browser to the Discovery Channel's Online Store. You will find a wide assortment of books, DVDs, videos, telescopes, toys, games, and all sorts of gadgets. Ties of every description. Neckties and bow ties from animals to historic events. Want a tie on the U.S. Constitution? The Mona Lisa? Perhaps a little Monet? Or just cats and dogs. Take a visit to WildTies.com and view their illustrated catalog. Some of these ties support charitable organizations too. 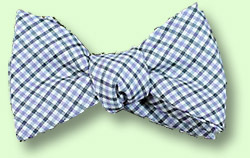 More unusual ties with a variety of themes are also found at Ties.com. Or, if you want geography-related stuff, try this: The American Geographical Society Library and the University of Wisconsin Milwaukee Libraries offer a new geographic note card, along with early map reprints and other items. Came and Went provides an interesting twist to the traditional T-shirt images of great thinkers, scientists, artists, musicians, writers, historical figures and events: only the years of the persons' birth and death are provided as a parenthetic statement, e.g., (1596-1650) for Rene Descartes, (1480-1819) Spanish Inquisition. Keep the observer guessing as to the meaning of your T-shirt's message. The Unemployed Philosopher has one of the most eclectic arrays of gift ideas for the practioners of the arts and humanities, providing soft dolls of your favorite poet or philosopher, a pillow of your most desired artistic work, a Dali watch, compact mirrors, magnetic personalities, scarves and ties, and much more! A new item is the Global Warming Mug. See global warming as you fill this with a hot bevarage and believe. The selection of mugs are found here. EcoMall. For those seeking to add a socially responsible flair to their holiday gift giving, the EcoMall may be your one-stop shopping center. Many aspects of the holidays can be overshadowed by excess consumption, wastefulness and an increased strains on the environment. The EcoMall provides us with some hope, where "a little innovation and commitment, this holiday season can become an opportunity to create new holiday traditions that help protect the environment not only for this holiday season, but for generations to come." Locate gifts of every type imaginable, from companies that care for the environment. Bow Ties! Why? Because bow ties say academic, they're in fashion, and because bow ties are cool! Otis James of Tennessee sells beautiful bow ties that anyone can wear to improve their appearance and perceived IQ. The Moon in your night. Bring the Moon into your home and enjoy seeing it whenever you want. Selena, The Authentic 3D Moon Nightlight Lamp provides a warm glow to any room. Many college students participate in the intercollegiate Quiz Bowl games and tournaments. Quiz Bowl competitions are governed by the Academic Competition Federation and the National Academic Quiz Tournaments. The format and content of Quiz Bowl is that ofpop-culture and trivia from a number of academic disciplines. Their "Trash Tournaments" are exclusivelydevoted to pop culture. There are a number of academically-inclined sites for Quiz Bowl afficianados. 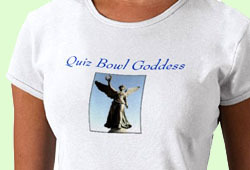 Quiz Bowl Goddess Shirt for that special young lady with all of the answers (at Zazzle); or get that smart guy something from T-shirts (Cafe Press), or Pop Culture T-Shirts. Quiz Bowl Packet Archive. A collection of practice questions previously used in quiz bowl tournaments. The Quizbowl Resource Center. Tournament schedules and results for high school level play. Caltech Quizbowl. Arkansas Quiz Bowl. College Quiz Bowl. College Quiz Bowl Events Calendar. High School Quiz Bowl Packet Archive. Quiz Bowl general description (Wikipedia). Take a look at a handless wrist watch, the Abacus, from Time Quest Watches. There are other chronological curiosities at this website as well, including the new Firefly watch that contains bright LEDs. Tell time and find your way in the dark. If you are still looking for gift items with a distinctive academic flair, try any one of the following local museums, nature centers, or art galleries: Albright Knox Gallery, Buffalo Museum of Science, Buffalo Zoo, Buffalo and Erie County Botanical Gardens, Butterfly Conservatory (Niagara Falls, Ontario), and other museums in Western New York. From astronomy to zoology, Edmund Scientific has a rich supply of gift ideas for the growing scientist, engineer, and physicist. They are famous worldwide and are located here in WNY. Go to their website for telescopes, chemistry equipment and supplies, experiment labs, a lot of fun stuff, and ANYTHING scientific. There are New Products, Limited Time offers, and of course, Gift Ideas by category. Great gifts are available here at UB. Go to the UB Health Sciences Library, "19th Century Botanical Prints" exhibit where you can purchase sets of beautiful cards based on prints in the collection. Lifetime Gifts for Graduates. In some professions, society memberships are essential. Every student needs a chance to develop and grow in their field. Why not consider giving your favorite grad a lifetime membership in a professional organization? Such a gift will not only prepare them with a lifetime support system, it will also show professionals and potential employers that your grad is special and willing to go the extra mile in their work. A life membership offers special benefits, discounts for conferences and publications, and other services. 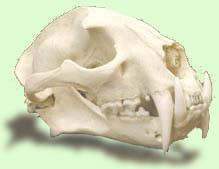 Lifetime membership applications and fees may be found by searching on association websites. This page was created and is maintained by David J. Bertuca and Fred Stoss, librarians of distinction (or at least distinctly different). The websites listed are selected based on their themes and products. The authors have selected websites for their content and reliability, as well as for their significance to academics and social responsibility, however, they make no claims to the quality of products/services offerred.